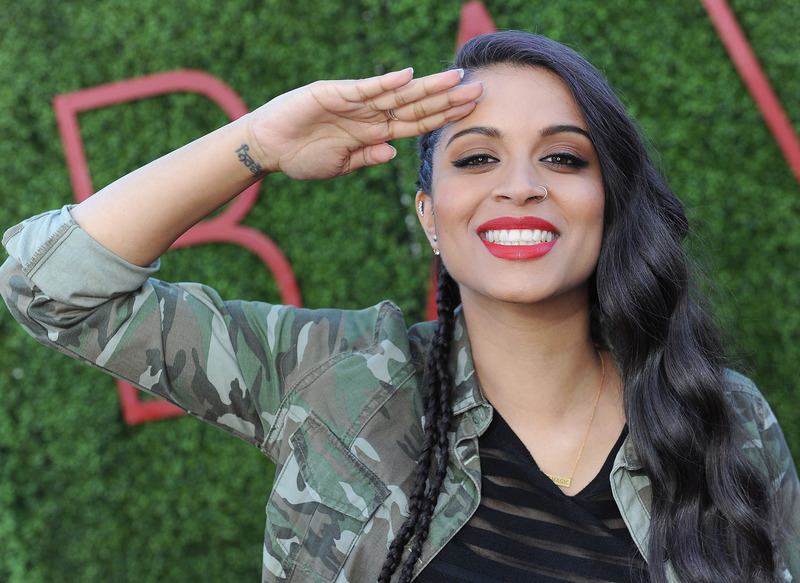 Lilly Singh's success story is not only inspiring, it's unparalleled. Being a professional YouTuber wasn't always in the cards for Singh -- also known by her internet moniker Superwoman. A few years ago, she was at a crossroads in her life attempting to figure out what it was that made her happy. After graduating from York University with a bachelor's degree in psychology, Lilly Singh struggled with depression. Her form of therapy soon became YouTube, where she would make videos aimed at making other people laugh. As she notes, "Making other people laugh helped make laugh." Singh gave herself a year to hustle and make as many videos as possible -- and the result was incredible. The Toronto native has since racked up over 7 million video subscribers, over 1 billion video views, has gone on tour around the world, and also recently launched her own Smashbox lipstick that encourages young fashionistas to channel their inner "bawse". She has not only solidified her place in the digital space, but she's also become a source of inspiration for many young viewers. And whether it's her comedy sketches that play on her Indian heritage or her confessional-shot videos that ring a much deeper note, Lilly Singh's videos have something for everyone to connect with. So if there's any creative mind that you should be following, it's hers. On the heels of Smashbox launch, we spoke to the incredible personality about how she came to her career. Ahead find out where her love of performing began, when she realized YouTube was her calling, and more! YouShouldKnow is a feature that showcases up-and-coming social stars. To see more of past interviews, click here. And head over toAOL.com at 12 p.m. ET for more exclusives on Lilly Singh. Did you always grow up with a love of performing? I've pretty much always been like that. Growing up I liked to dance. I used to be that annoying kid at parties who would be at the center of a circle to get everyone's attention. I was also a dancer throughout high school and my university, so I had a love of performing but I never thought I would be doing it in the way I am now. Mostly because it didn't exist when I was younger -- being in the digital space wasn't a thing. How did you first get your start in social media? I uploaded my first YouTube video in 2010, so about six years ago. That was around the time I was graduating from university so I was dealing with all the pressures from my family who were telling me what to do. They wanted me to get my Masters and follow in my sister's footsteps. I was going through a tough time in my life trying to figure out what I wanted to do and how to enjoy life -- because I didn't really enjoy what I was doing. And that was around the time I discovered YouTube and I watched my first video on the internet. I remember being like "What is this thing?" I had no idea what it was. So I started to watch more and more videos. And one day I had this spontaneous argument with my friends about this pronunciation of this word and I put it up on the internet and I really enjoyed that. I loved making that video and I remember thinking, "Damn! This is what it feels like to like what you do." So I did another video and I never really thought anything of it. At that point, it was just me doing something that I like to do and slowly it turned into what it is today. It's helped me get out of a dark time in my life because making other people laugh helped make laugh. So it's all very sentimental! What's the difference between how you identify with Lilly versus Superwoman? I started calling myself Superwoman well before I started making YouTube videos. Back in the day when MSN was a thing, I called myself Superwoman on there. But Superwoman and I are very similar; as weird and as loud as I am I am on camera is how I am in real life. I think the only difference is that Superwoman is a performer -- she's the one on stage and the one in front of the camera. She doesn't get tired, she doesn't get sick, and she doesn't get sad. Lilly is the same personality wise, but Lilly gets tired, she gets sad, but she also is happy. If you meet me in real life it's not dramatically different that the person you see on camera. What was it like realizing that you were a viral performer? I don't know if I ever had that viral moment to be honest -- I don't put out that many viral videos. But the closest I had was "Sh*t Punjabi Mother Say" and that was my version of the trend "Sh*t Girls Say." And the second one was "How Girls Get Ready." I think those are the two videos where I thought, "Wow! I really recognize the power of the internet and how quickly things can spread. And how many people your content can actually reach." Those were my first videos that got shared a lot so that kind of solidified the idea in my brain that this could be something. What was the reaction from your family and friends once you realized you wanted to be full-time YouTuber? When I told my parents that I didn't want to do my Masters and I wanted to make YouTube videos -- well that was an interesting conversation. Mostly because they had no idea what that meant. Again, that was five years ago and my parents never said no, they just didn't understand what it was. They said that I had a year to figure it out and try it, and if it didn't work then I will do my Masters. So for that year I just really, really hustled. I get it. If my kid came up to me and said "I want to make YouTube videos for a living" six years ago, I'd be like, "Shut up and go to your room." So it's been a process exposing them to this field. They've been to my shows and met my fans so I think they understand now. But it's a learning curve. Some of my friends still don't know what it is. A lot of people see my stuff and go, "Wait, what do you mean? You make money?" And I just have to laugh it off.